Allometric relations were determined in bivalves collected from approximate mid-tide levels in Biscay, Spain, during March 1987. Species compared included the epifaunal suspension-feederMytilus edulis L. (9 to 1 108 mg dry soft-tissue weight) from a rocky-shore population at Meinakotz Beach, and the infaunal deposit-feederCerastoderma edule (L.) (1 to 192 mg dry soft-tissue weight) from the mudflats in Mundaka Ría. Relative to M. edulis, and compared per unit dry tissue weight,C. edule had similar palp areas but smaller gill areas. In addition, to help maximize absorption from organically-poor deposits,C. edule ingested three to four times as much food per hour, but had gut contents that were five to six times greater, so that gut-passage times available for the extraction of nutrients were 2.5 times longer. Metabolic faecal losses, which were comprised of endogenous materials lost from the bivalve into the gut, were two to three times greater inC. edule, but similar to those ofM. edulis when expressed per unit mass ingested by each species. These losses were very substantial, being equivalent to as much as 15% of the ingested mass, and represent a significant indirect cost that is presumably incurred largely by the intracellular digestion characteristic of bivalves. Weight exponents indicated that such metabolic “investment” represented an unchanging proportion of the total costs of growth. They also showed that age-related constraints on total production did not stem from decreasing gut content. 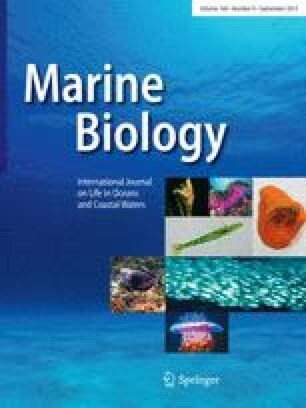 Rather, associated exponents identified limitations to the production in each species as being linked with marked reductions of gutpassage time and ingestion rate, and indicated that these limitations do not derive from corresponding decreases in gill or palp areas.